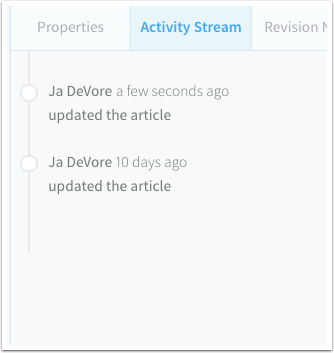 During your documentation cycles, you can mark articles with a status so you can easily keep track of which articles still need content, which articles need to be updated, which articles need to be approved, and which articles are ready to be published. Filter articles by status to quickly view where your documentation is at in the process. Working with a lot of authors can be tricky. 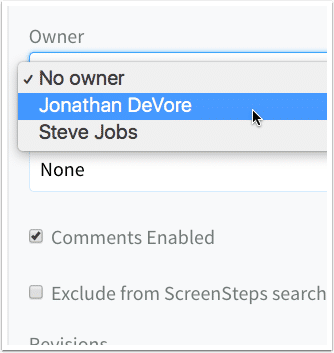 With ScreenSteps, you can assign articles to specific users so that there's no confusion when it comes to who is supposed to be working on what. Filter articles by owner to quickly glance at each person's workload. My digital marketing agency and I have been using your product religiously and without it, I'm confident that we wouldn't be as successful as we are now. Need to run your new article by your boss before you can publish it to the knowledge base? No problem! 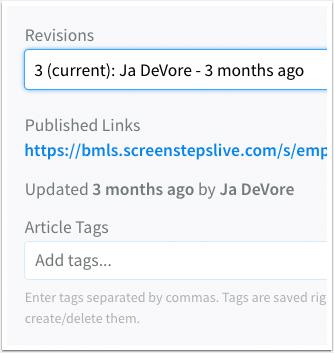 With ScreenSteps, simply save your article as a draft and create a preview link that you can share with your team - no need for them to be authors to be able to see your preview. 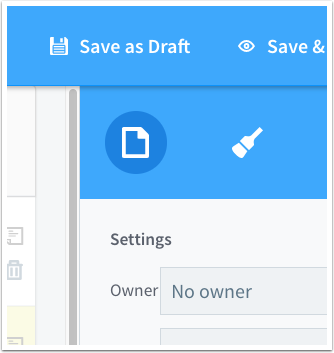 Also, when you need to make updates to articles, you can save draft versions while still having the previous published version still available on your knowledge base. Don't stress about whether you deleted important content from an article. 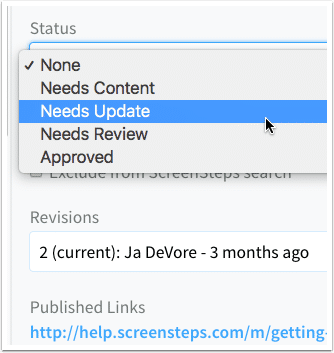 With ScreenSteps, you can go back to previous versions of your article and restore them to your knowledge base. Or, if you just want to peek at the differences between what your article used to look like and what it currently looks like, you can view that, too. 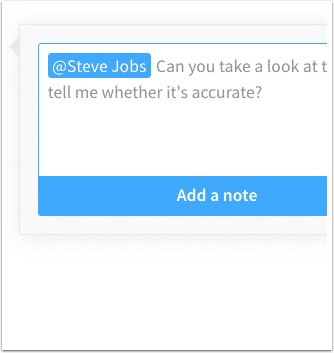 Keep all of your author notes and feedback within ScreenSteps. You can add notes that relate to the entire article, or add notes for specific text fields and images so your feedback is clear and concise. Plus, you can tag other authors so they get an email alert prompting action. Keep track of your authors and how active they are in ScreenSteps. You can see which authors are updating which articles. View your author activity at the knowledge base level, or at the article level.